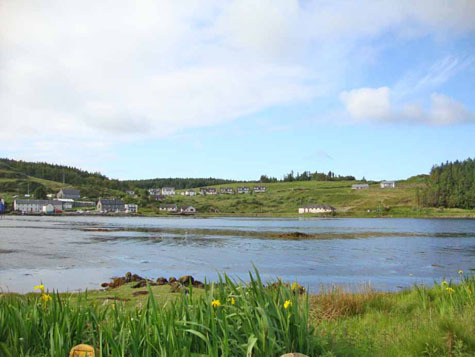 Conveniently located by the bay in the heart of Bunessan village, these two neighbouring building plots offer a pleasant outlook across the water with local amenities within easy reach. Plots 2 and 3 each extend to approximately one sixth of an acre and benefit from Full Planning Permission for the erection of a dwellinghouse, while services are available for connection close by. The neighbouring Plot 1 has already been sold and a house of the same design as the current plans for Plot 2 and 3 has now been built on site. Bunessan is the largest village on the Ross of Mull and offers all the usual village amenities including a Post Office, doctor’s surgery, several shops and a popular hotel serving bar-meals. Lying some 5 miles west of Bunessan is the village of Fionnphort from where regular 10 minute ferry crossings depart to the neighbouring Island of Iona famed the world over for its Abbey. Also available from Fionnphort are sightseeing and wildlife trips to Fingal’s Cave on Staffa and the Treshnish Isles. 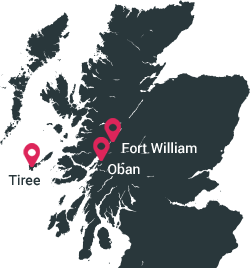 The Island of Mull is the most accessible of all the Inner Hebridean Islands, only a two hour drive North-West of Glasgow and a 45 minute sailing from Oban, which makes it a very popular tourist destination. Mull is wonderfully diverse, with towering sea cliffs, powder white sandy beaches and a large mountain range with the peak of Ben More rising to over 3,000 feet. Home to a wide range of wildlife, Mull is one of the best places in Europe to participate in Wildlife Tourism, with regular sightings of the rare Golden Eagle and the White Tailed Sea Eagle. There is also an abundance of marine life to be seen with several wildlife tours offering sightings of whales, otters, dolphins and seals, which attract a diverse range of visitors to the island all year round. Full Planning Permission (Planning Reference No. 07/01542/DET) for the erection of a one and a half storey dwellinghouse has been granted for each of the two building plots. Copies of the permission may be inspected at the offices of the selling agents. Services are available for connection close by. Interested parties should contact the selling agents to arrange a viewing, obtain further details or note interest. On leaving the ferry terminal at Craignure, turn left on to the A849 (sign posted for Bunessan/Fionnphort) and continue for approximately 29 miles. 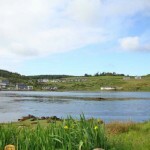 When arriving in the village of Bunessan, follow the road round the bay until reaching the community hall on the left hand side. The plots are to the left of the community hall and are indicated by For Sale signs.